... Doctor poaching costs poor countries Rich countries poach doctors and nurses that poor nations spend millions to train, taxing already underfunded, overstretched hospitals in Africa and elsewhere, according to a report released Wednesday. The International Organization for Migration, a private group that often works closely with the United Nations on immigration and refugee issues, also said in its report that the practice means Europe and the United States get health workers at a bargain. The IOM estimated that it would have cost rich nations about $184,000 (euro141,266.79) to train each of the estimated 3 million professionals educated in poor countries now working in the developed world, for a "staggering" total savings of $552 billion (euro423.8 billion). Poor nations, meanwhile, spend $500 million (euro383.8 million) a year training health workers, according to the report presented at a two-day meeting to discuss the impact of the migration of Africans. "Emigration of health care professionals is a cause of particular concern for Africa with developed countries deliberately recruiting health personnel from the region, partly to offset domestic shortages," said the report, authored by Ndioro Ndiaye, deputy director general of the International Organization for Migration. The International Organization for Migration said 21,000 Nigerian doctors are working in the United States, and more doctors from Benin work in France than in their own country. In all, the report said, 23,000 African health professionals emigrate every year, 'leaving their own stretched health service in dire straits." 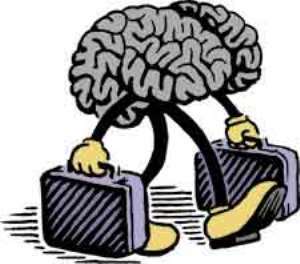 Ethiopia's Prime Minister Meles Zenawi said the "brain drain" affects all countries, but hits Africa harder. "The fact that we have limited resources also increases the relative cost of education and training. So when skilled professionals migrate we are doubly affected," Meles said. It is estimated that by 2025 one in 10 Africans will work outside their own country.